10 Best Places To Visit In South India In October 2018 For A Pre-Winter Vacation! 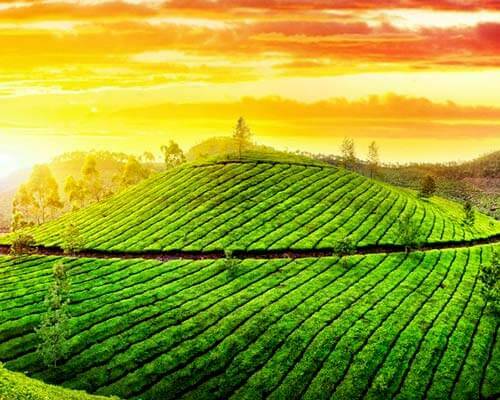 As the monsoon departs and the winter onsets, travelers become keen on exploring some of the best places to visit in south India in October. 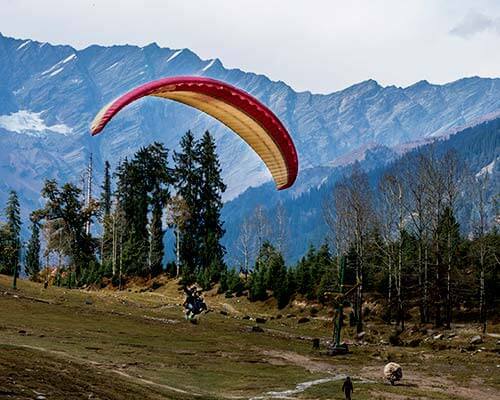 With the freshness in the air, clean and green environs, refreshing mountains, and bustling valleys, the nature is in full bloom which makes the month of October a perfect month to explore these 10 best holiday destinations in south India. 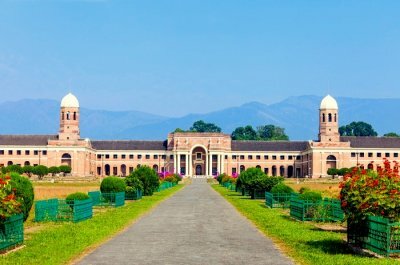 India offers many beautiful destinations in South to visit in october. Take a look! Known for its royal heritage, and the fine silk sarees, Mysore is one of the best places to visit in south India during October. 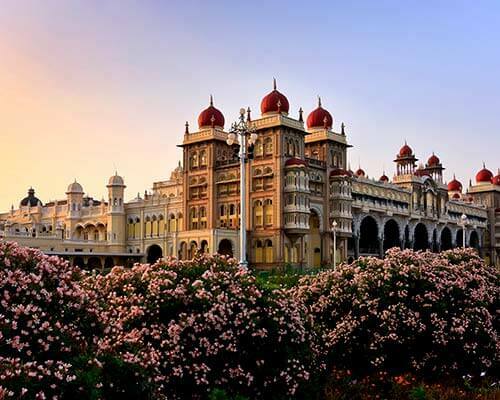 With the petrichor feels and the onset of winters, Mysore serves as a perfect escapade for a rejuvenating holiday. 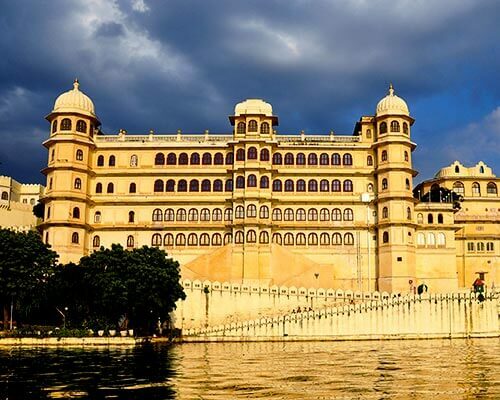 Major Attractions: Mysore Palace, Chamundeshwari Temple, Jaganmohan Palace, Karanji Lake, Balmuri Falls, Railway Museum, and more. 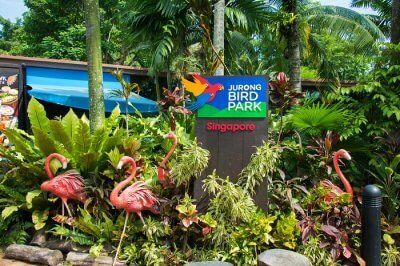 Things To Do: Fountain show at Brindavan Gardens, bird watching at Ranganathittu Bird Sanctuary, explore the Folklore Museum, and more. How To Reach: Bangalore International Airport is the nearest airstrip located just 170 kilometres away. By train, one can get down at the Mysore Railway Station, which is located close to the city centre. 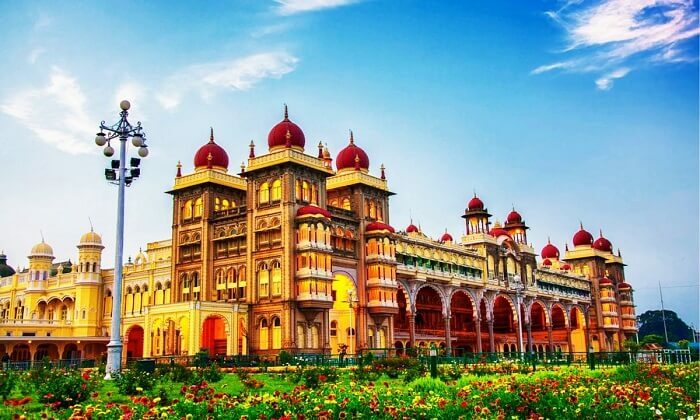 By road, one can also take the state-run as well as the private buses which connect Mysore to the nearby cities of Bangalore, Chennai, Coimbatore, and more. 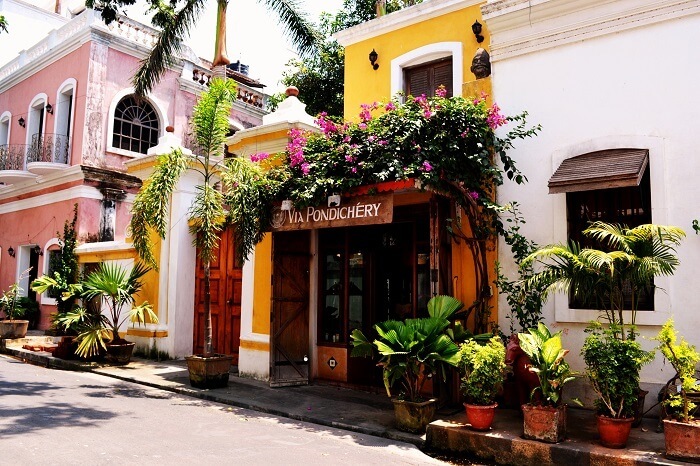 A popular beach destination, Pondicherry is a quaint little French town which is one of the best places to visit in south India in October. Popular amongst the tourists for its promenade by the sea, and the streets bordered by refreshing green trees, the attractive villas are the highlight of the city that reflect the French colonial architecture. Major Attractions: Basilica of the Sacred Heart of Jesus, Sri Aurobindo Ashram, Bharathi Park, Pondicherry Museum, and more. Things To Do: Explore the Rock beach, road trip to Auroville, dine at Le Cafe, relish the local food, boating at Paradise beach, and more. How To Reach: Chennai International airport is the nearest airstrip located just 135 kilometres away whereas the Villupuram railway station is the nearest railhead located just 35 kilometres away from Pondicherry. The best way to reach Pondicherry is via ECR road from Chennai which is a total distance of 160 kilometres. 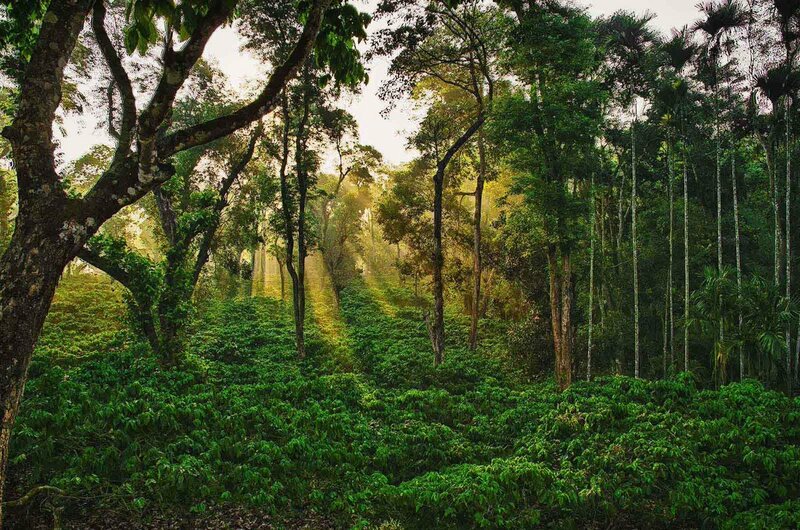 Coorg is one of the most sought hill stations by the nature enthusiasts and honeymooners of all the tourist places in south India in October. Much famed as Kodagu, this paradise offers enthralling views of the surrounding mountains that are accompanied by clouds all the time. 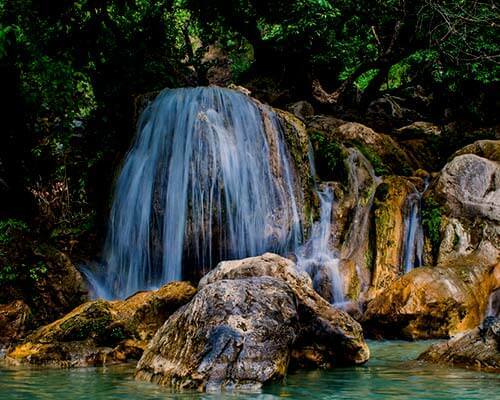 Major Attractions: Nisargadhama Island, Abbey Falls, Irupu Falls, Madikeri Fort, Omkareshwara Temple, and more. 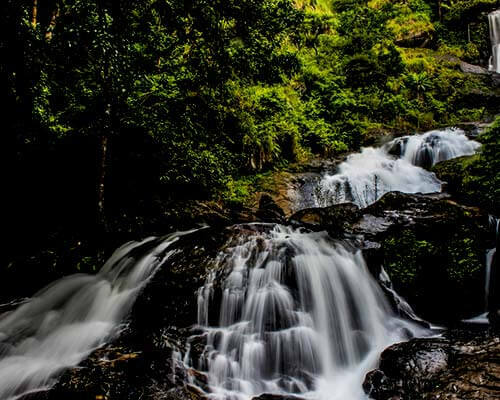 Things To Do: Jungle safari at Nagarhole National Park, trek to Mandalpatti, trek to Pushpagiri peak, backpack through Tadiandamol, and more. How To Reach: Mangalore International Airport is the nearest international airstrip located at a distance of 160 kilometers away. By road, travelers can board the state-run buses from the nearby cities of Bangalore, Mysore, and Chennai. 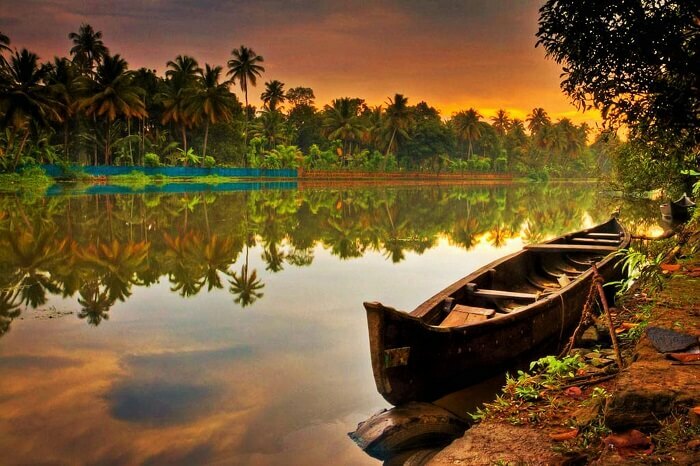 The pristine backwaters is the major tourist attraction which drives the entire tourism of not just Kumarakom but Kerala as a whole. Encompassing of palm trees, mangroves, coconut fields, coffee plantations, and rice paddies, Kumarakom serves as a pure delight for the travelers as one of the best south India tourist places in October. 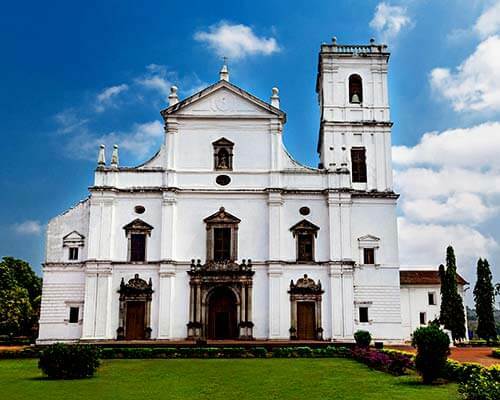 Major Attractions: Vembanad Lake, Pathiramanal Island, Bay Island Driftwood Museum, St. John the Baptist Church, and more. Things To Do: Birdwatching at Kumarakom Bird Sanctuary, backwater cruising in a houseboat, and more. How To Reach: Kochi airport is the nearest airstrip located just 45 kilometres away from the city. 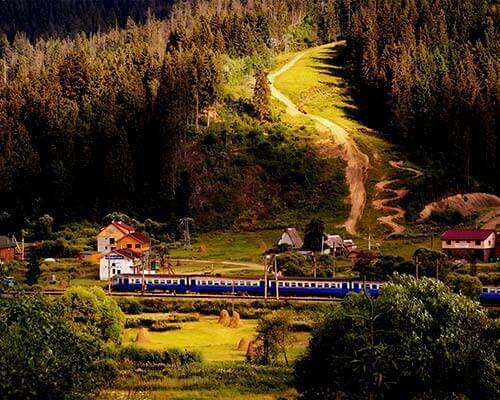 Kottayam is the nearest railhead located at a distance of just 16 kilometres. One can also reach the city by road via state-run buses from the neighboring cities of Munnar, Kochi, Coimbatore, Bangalore, and so on. The month of October happens to be just the right time to hit the soft sand beaches, and the turquoise waters of Andaman Islands. 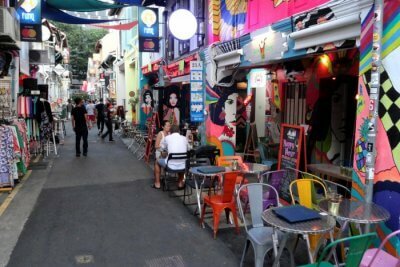 For those who’re looking forward to dodge the peak time between December and March, can enjoy the clear green environs that monsoons have left behind during October which also serves as the best time for scuba diving, snorkeling, and other water activities. 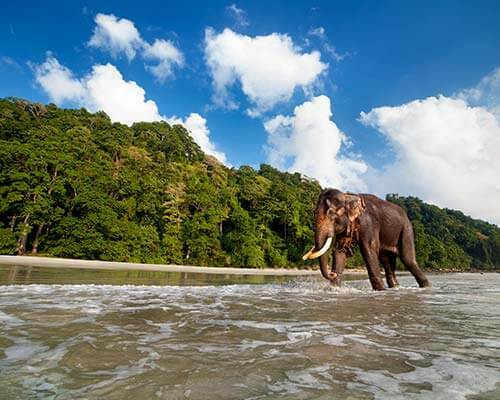 Major Attractions: Havelock Island, Radhanagar Beach, Ross Island, Neil Island, Bharatpur Beach, and more. Things To Do: Light and sound show at Cellular Jail, island hopping, scuba diving at Havelock Island, explore the Baratang Lime Stone Caves, and more. 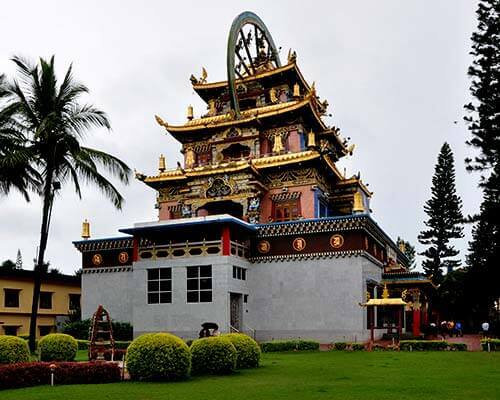 How To Reach: Port Blair is the main international airport which connect Andaman Islands to the rest of the world. One can also opt for the ship services that are available from the major port cities of Kolkata, Vishakhapatnam, and Chennai. Much famed to be a paradise for the hippies, it is a tough call for tourists when it comes to Goa vs Gokarna. 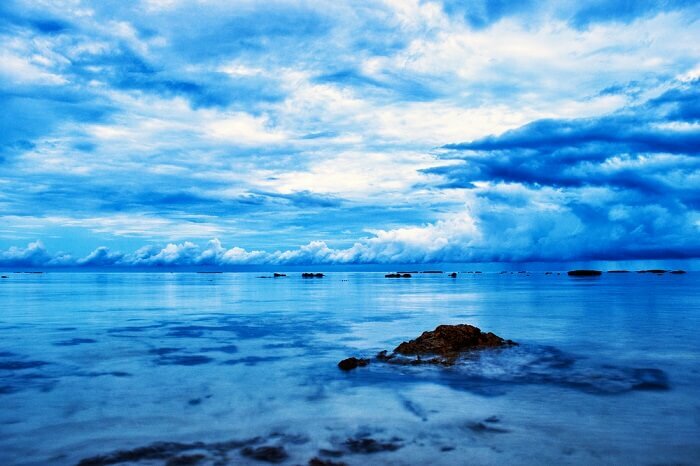 Being a pilgrimage site originally, it is more famous for its exotic beaches, fresh environs, and enthralling landscapes. Tourists flock to Gokarna in search of respite every year, and find solace on the quixotic beaches and peaceful surroundings. 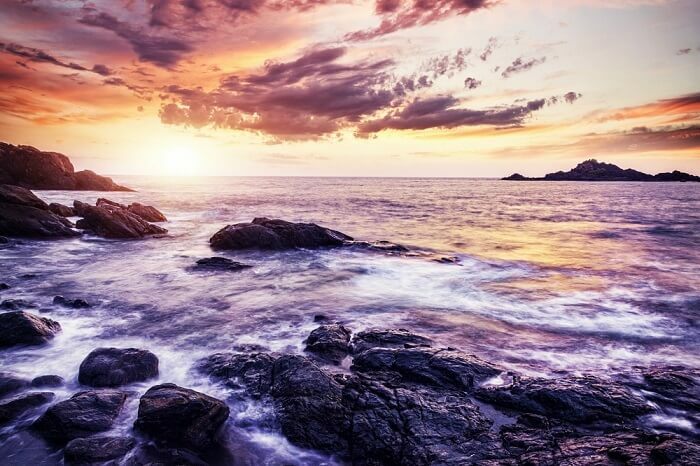 Major Attractions: Mahabaleshwar Temple, Om Beach, Kudle Beach, Gokarna Beach, Paradise Beach, Half Moon Beach, and more. Things To Do: Relish the ice nutella and dig into the prawn pizza at Rock Namaste Cafe on Kudle Beach, hiking on Paradise Beach, and more. How To Reach: Dabolim airport in Goa is the nearest airstrip to Gokarna at a distance of 140 kilometres. The nearest railway station is that of Ankola which is just 20 kilometres away from the city. 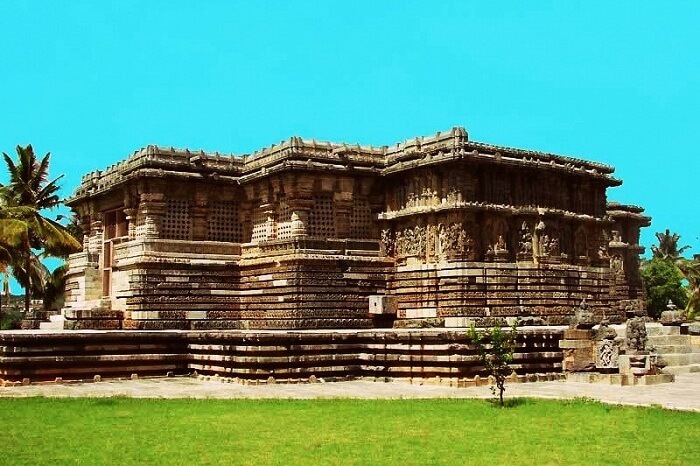 Located in Hassan district, the city of Halebidu or Halebid, literally translates into the “old city” which was once served as a home to the great Hoysala Empire during the 12th century. Renowned for its intricate Hoysala architecture, the detailed ornate temples serve as the major crowd puller in Halebidu. Major Attractions: Hoysaleswara Temple, Kedareshwara Temple, ASI Halebeedu Museum, Halebidu Archaeological Site, and more. 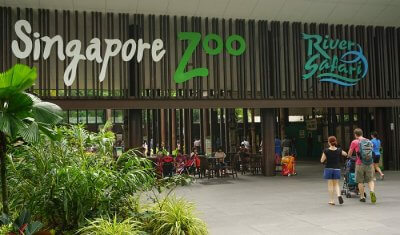 Things To Do: Sightseeing, explore the heritage sites, discover the charm of temples, and more. How To Reach: Mysore airport is the nearest domestic airport and Mangalore railway station is the nearest railhead which are located at a distance of about 170 kilometres from Halebidu. 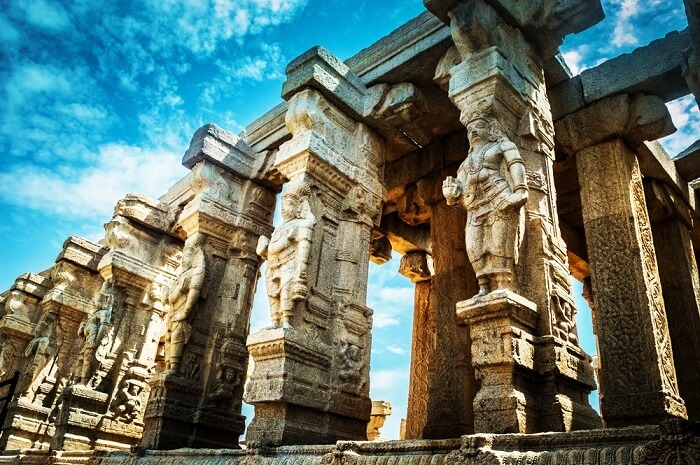 For those who don’t mind admiring scenic rural landscapes in a place of great historical significance, the quaint little village of Lepakshi in Andhra Pradesh, serves as one of the best places to visit in south India in October. 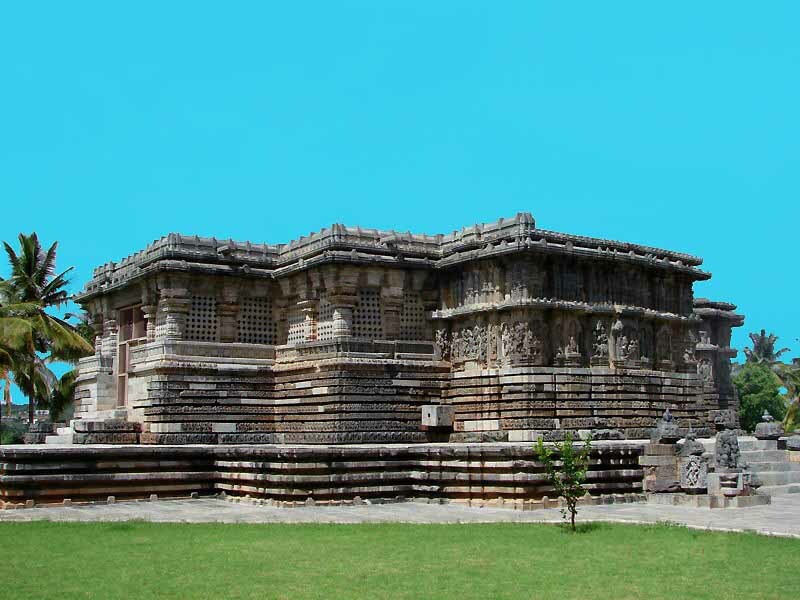 Home to many archaeological sites and ancient temples, it is a must visit place for all the history buffs. Major Attractions: Lepakshi Temple, Veerabhadra Temple, Nandi Bull Structure, and more. Things To Do: Explore the heritage sites, shop some of the famous handicrafts, experience the beauty of paintings in Lepakshi, and more. How To Reach: Bangalore International Airport is the nearest airport located just 100 kilometres away. By train, travelers can deboard at Hindupur railway station which is just 12 kilometres away from Lepakshi. 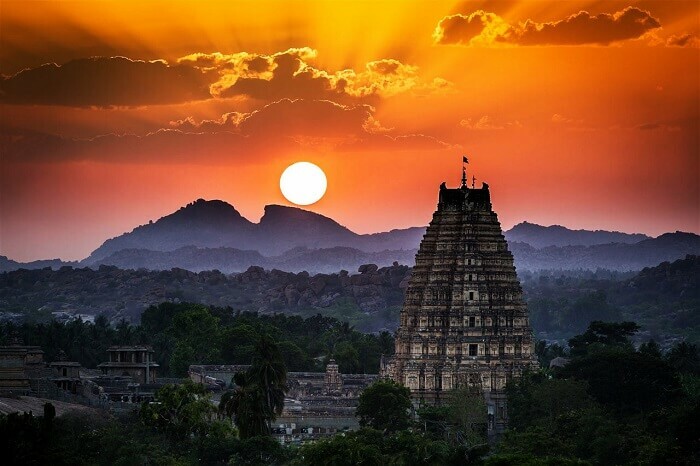 Once a home to the glorious Vijayanagar empire, the city of Hampi is an UNESCO World Heritage Site which is famous for its temples, ancient forts, and archaeological ruins. Considered to have been the second largest city in the world during the 1500 AD, the huge boulders are the one of the first things that you’ll notice in Hampi. It is one of the best places to visit in October in south India. Major Attractions: Virupaksha Temple, Hazara Rama Temple, Zanana Enclosure, Kings Balance, Lotus Mahal Hampi, and more. Things To Do: Backpacking through Matanga Hill, explore the Elephant Stables, shopping at Hampi Bazaar, rock climbing, and more. How To Reach: Hubli airport is the nearest airstrip located at a distance of just 143 kilometres. Hospet Junction is the nearest railway station which is located just 13 kilometres away from Hampi. Many state-run buses drop travelers early in the morning from the nearby cities of Hospet, Bangalore, and more. 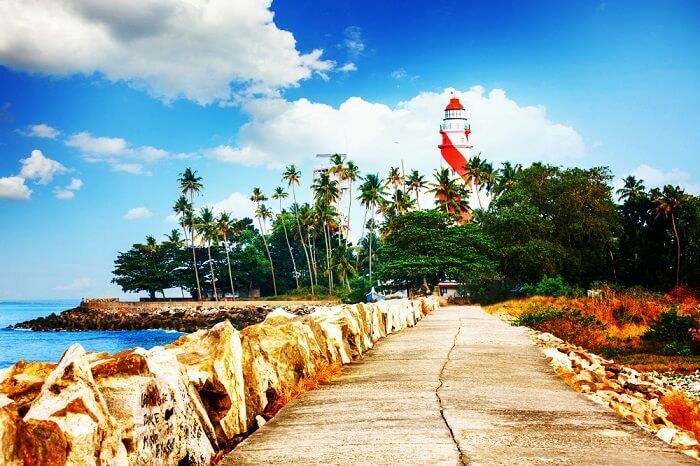 A nature’s delight located in the heart of Kerala, Kollam is the famous port city which enjoys a picturesque location on the coast of Laccadive Sea. Encompassing of a seaport, a shimmering coastline, and a bustling lake of Ashtamudi, Kollam is also famous for being a centre of trade ever since the time of the Romans. 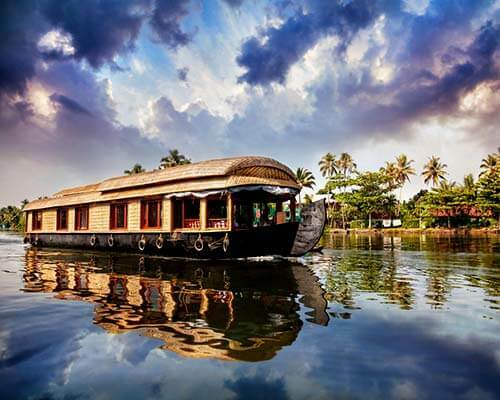 Major Attractions: Paravur Lake, Kollam Beach, Thevally Palace, Thirumullavaram Beach, and more. Things To Do: Boating at Adventure Park, cruise the Ashtamudi Lake, explore the Tangasseri Lighthouse, and more. How To Reach: Trivandrum international airport is the nearest airstrip located at a distance of 57 kilometres. The city has its own junction and travelers can deboard at Kollam railway station. 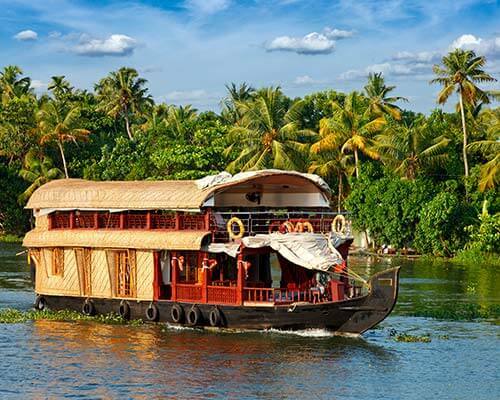 Travelers from the neighboring cities of Alleppey, Guhanandapuram, Munroe Island, and Dalavapuram can reach via the canal route too which stretches for about 60 kilometres. 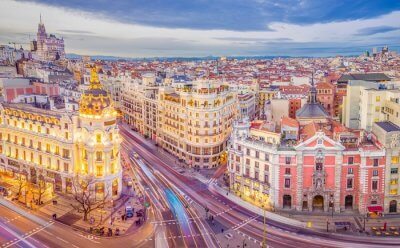 Can’t resist the wanderlust anymore? 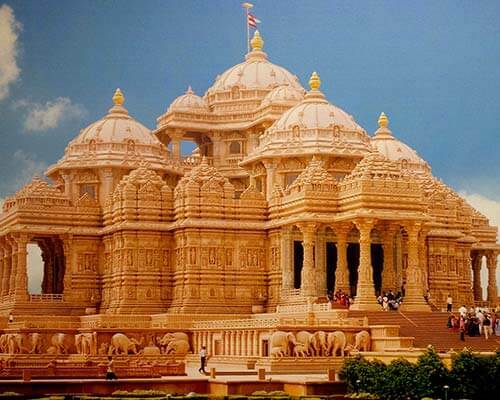 Then customize delightful India tour packages with TravelTriangle and get going to witness the beauty of these amazing destinations!